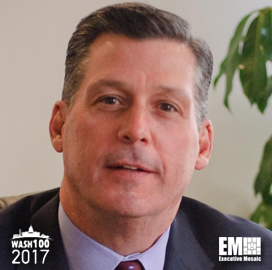 Executive Mosaic is honored to introduce Vencore President and CEO Mac Curtis as an inductee into the 2017 edition of the Wash100 — Executive Mosaic’s annual selection of influential leaders in the government contracting arena. 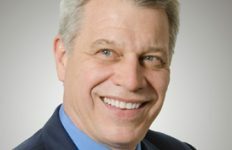 Curtis joined the company formerly known as The SI Organization in July 2013 after time as a senior adviser at Vencore’s owner Veritas Capital. In November, the General Services Administration awarded Vencore a potential five-year, $27 million re-compete contract for continued support on the Public Buildings Information Technology Service, which covers program management and database work. 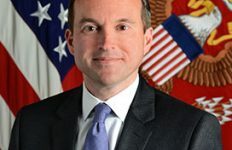 “We are excited to continue our partnership with GSA to help streamline and transform the enterprise applications that are critical to the PBS-IT mission,” Curtis said of the contract. The company also secured a potential five-year, $135 million contract with the U.S. Navy for cyber systems engineering and research and development services in support of the Space and Naval Warfare Command Systems Center Pacific. Vencore is also one of the seven companies that won separate IDIQ contracts from the Navy for cyberspace research and technology integration support in September. In October, Vencore reported approximately $365 million in U.S. government contract awards for systems engineering and integration services. Two months prior to that, the Chantilly, Virginia-based company landed a spot on a basic ordering agreement to provide R&D and integration support for the Naval Air Systems Command’s Cyber Warfare Detachment program. “We are excited to have won a position on this important effort and look forward to expanding our partnership with NAVAIR in support of CWD’s critical mission,” Curtis said. 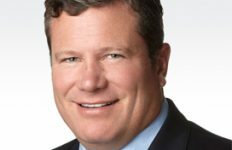 Curtis’ 25-year GovCon career prior to Vencore includes senior leadership roles at DynCorp International, Vangent and NCS.